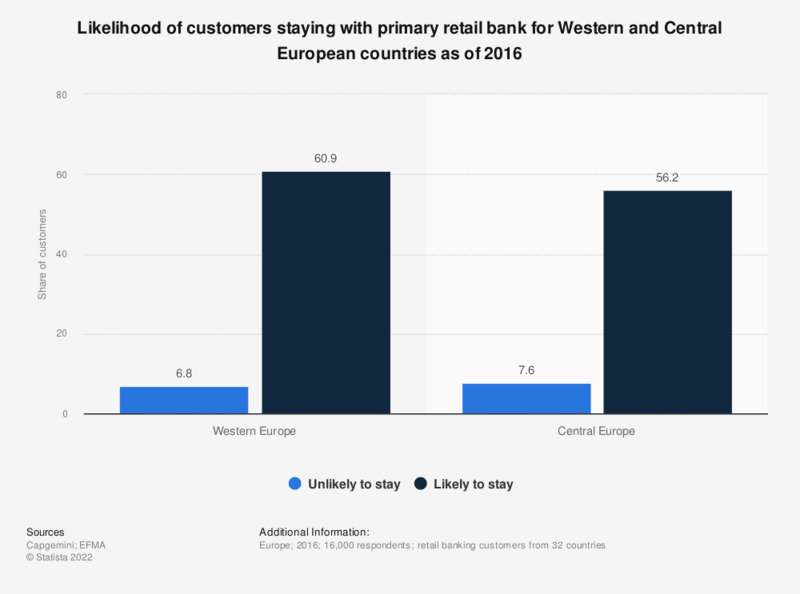 This statistic provides information on the share of retail bank customers, who are likely to stay with their primary bank in the next six months, listed for Western and Central European countries as of 2016. Nearly 61 percent of Western European clients expressed their wish to stay with their primary bank. In Central Europe, this share was lower, at just over 56 percent. Figures related to percentages of customers willing to stay with the primary bank, within all separate experience level brackets.